Transaction fees on ticket booking at the Theatre Royal & Royal Concert Hall Nottingham are to be phased out and replaced by a new restoration levy to be included in the face value of each ticket purchased. This will mean a simpler transaction process for customers and protection for the fabric of these two iconic venues over future years. The existing transaction fees of £2 per transaction online and £3 by telephone or over the counter will phased out from 1st April 2019. All events that go on-sale after this date will include the new restoration levy within the ticket price and transaction fees will not apply. 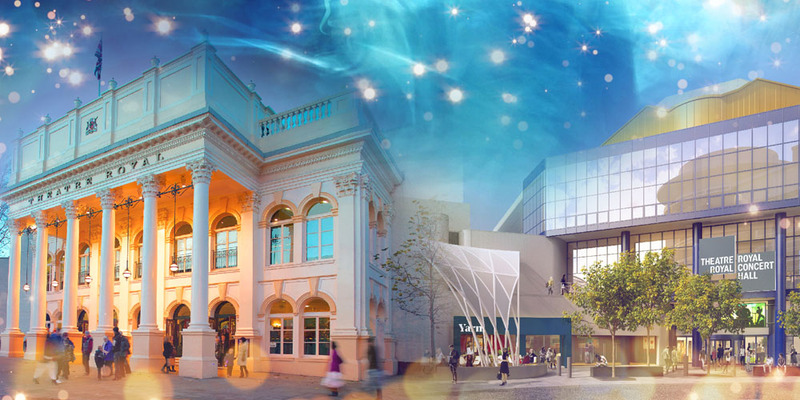 In order to meet the demands of the long-term maintenance plan, the venue will include a £1.50 restoration levy on every ticket sold for main stage events at both the Theatre Royal & Royal Concert Hall, excluding schools tickets. Since 1978, Nottingham City Council has invested millions of pounds into the maintenance and development of the Theatre Royal Nottingham. Having added the Royal Concert Hall, in 1982, to its entertainment portfolio the council has continued to support these venues and ensure that they remain at the forefront of the entertainment world, not only regionally but nationally as well. This includes the latest Royal Transformation Project completed in 2017. With the financial landscape for local authorities having changed considerably over the last eight years, Nottingham City Council now finds itself in a position where it is unable to sustain the level of investment that is needed for the Theatre Royal & Royal Concert Hall on its planned repairs, maintenance and replacement programme. In autumn 2018, the Theatre Royal & Royal Concert Hall (TRCH) commissioned a comprehensive venue condition survey to assess what needs to be maintained, replaced and refurbished over the next 25 years. This survey identified more than £15million worth of work that will need to take place on the structure and fabric of these two iconic Nottingham venues in order for them to continue to operate at their current high level for the next quarter of a century. Portfolio Holder for Leisure and Localities, Councillor Dave Trimble, says that customers and the venue are at the heart of this decision: “From 1st April 2019, with our new fee structure in place, the customer will now simply pay the face value of the ticket, which will include the restoration levy. Every single penny of this restoration levy revenue will be allocated only to the continuous maintenance, repair and refurbishment of the Theatre Royal & Royal Concert Hall, with clearly planned objectives as to what works are required and when. As custodians of two of Nottingham’s greatest cultural assets, we need to ensure future generations can continue to use and enjoy them in the very best condition possible.